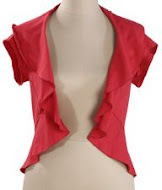 I bought this beautiful t-shirt off ebay last week mostly because of the colour. I have discovered that orange suits me. Who'd have thought?! But when I wear orange people always comment about how good it makes my skin look so I'm going with it. Orange all the way! 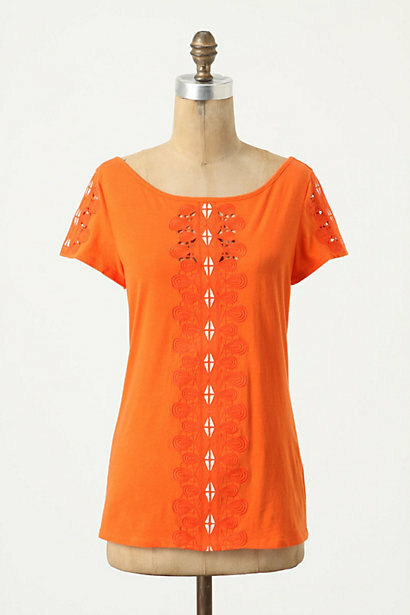 I'll be wearing this beautiful shirt (which is a Torretta Tee by Meadow Rue from Anthropologie) with white jeans and dark jeans and a blue and white striped pencil skirt that I love. It's going to get out and about a LOT! Of course, now that people have flattered me about my kinship with orange I have been on the look out for other orange items that I can add to my wardrobe. Yes please! 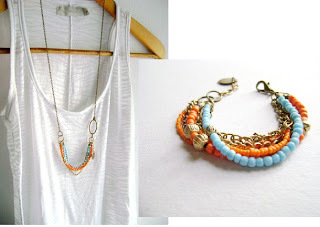 I'll have this beautiful necklace and bracelet from etsy seller DivinaLocura. 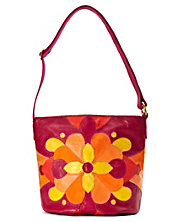 I want this Lucky Brand bag soooo much! 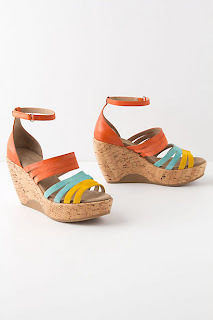 And, of course if you are going to go orange you need some awesome wedges from Anthropologie. Naturally. wohooo! what a hoot to see my creations in here! 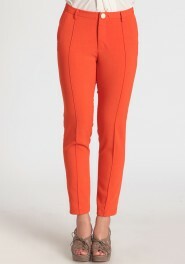 i love orange, is such a happy color, great outfit choices ... and those shoes!!! love them! cheers! and thanks for sharing ..